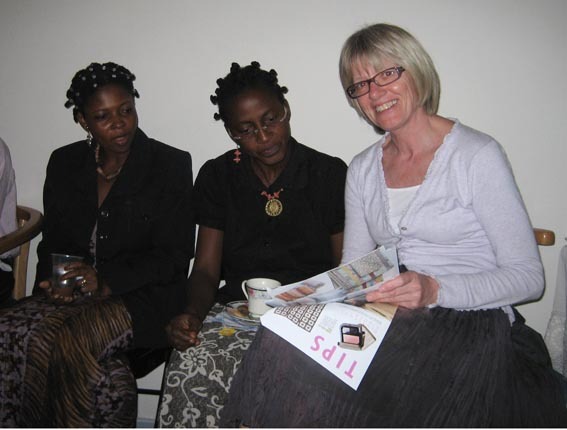 In the late summer ’08 FairTrade Designers was contacted by Margrete Stage from DIPP (Direct Import Promotion Program, part of Dansk Erhverv, the Danish Foreign Ministry). She had read about our pilot project ‘HOMEmade in China’ and invited us to a meeting. DIPP worked to improve import from counties on the Danish governments list of developing countries, by creating a virtual marketplace for their products and by counselling buyers in Denmark and assisting manufactories in the developing countries. Alone this work DIPP also started up 1 to 2 projects each year, and reading about FTD’s work in China – DIPP got the idea to work with designers and we where contacted. 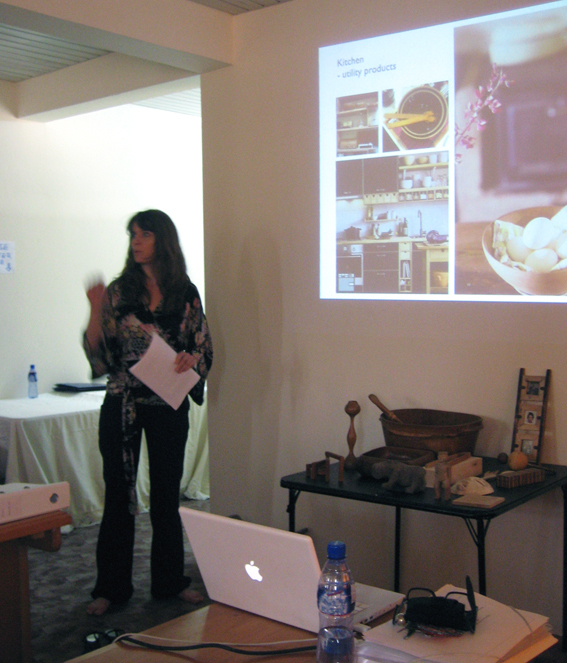 Margrete Stage with participants at ‘Wooden Workshop’ in Accra. At our first meeting it came clear that together DIPP and FTD had an interesting combination of experience and capacity, and we decided to create a project including workshop with facts about the Danish market, a co-operation with an Ghanaian company, design of new products and start-up of a production and launch on our market. DIPP was managing the project, the contest was developed by FTD and DIPP and the project was financed by DANIDA. Between our 1 and 2 meeting with DIPP employee Margrete Stage returned from at trip to Ghana bringing with her pictures and information’s of a variety of different handicrafts products from the Ghanaian market. From this overview we discussed; material and technique, market potential and design possibilities, and in the end we decided that our project should be about wood and for wood producers. 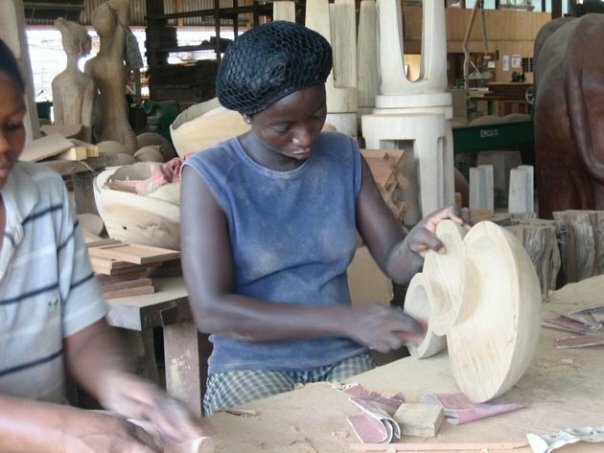 Aiming to increase the trade of wood products between Ghana and Denmark, and work for a growing awareness of sustainable production as a gained competitiveness. 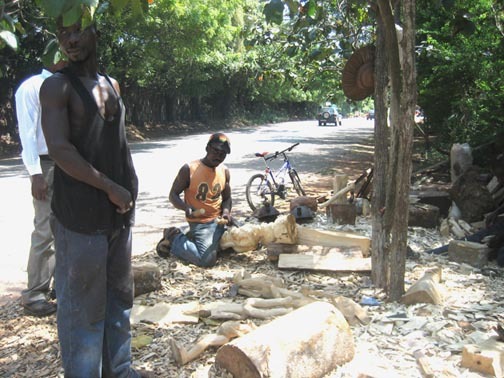 Wood workshop at Accra roadside. We are all depending on the world forest to generate oxygen for us to continue breathing. 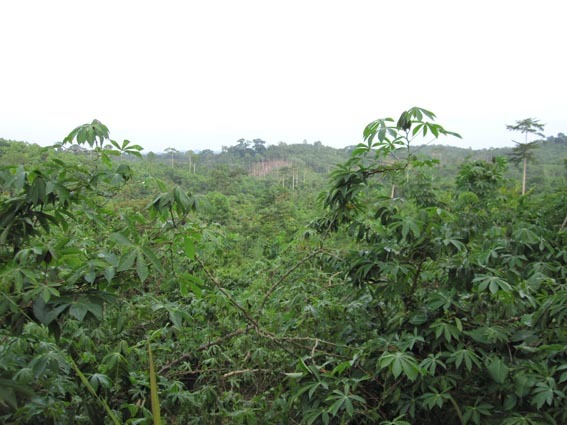 Therefore the rain-forest in Ghana as anywhere in the world – is all OUR business. 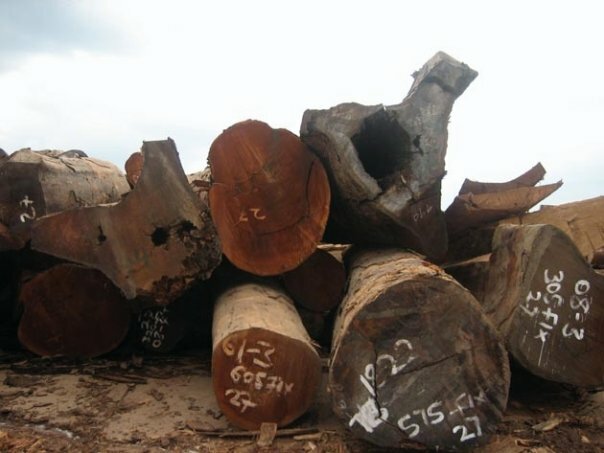 Illegal logging in developing countries and its related international trade have been reckoned as key contributors to environmental damage. 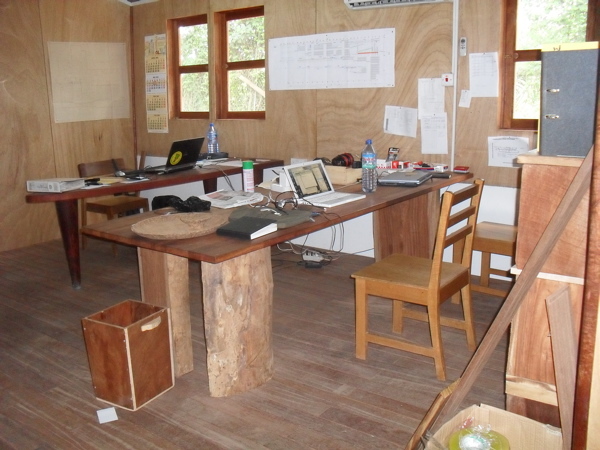 This elicits concerns for responsible production, trading and consumption of timber. 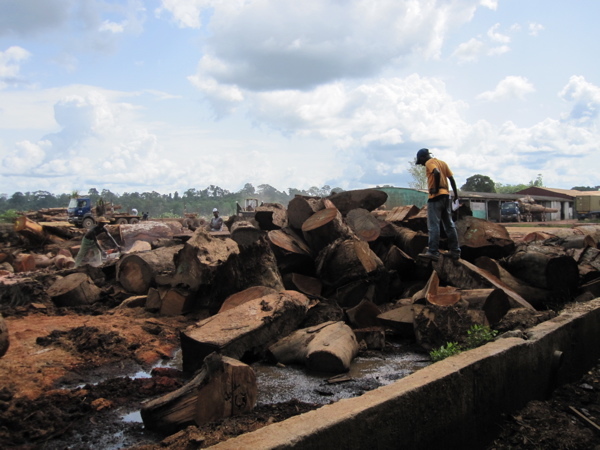 The EU’s response to illegal logging is the adoption of the Forest Law Enforcement, Governance and Trade (FLEGT) action plan to facilitate trade in legal timber and to improve forest governance. To put FLEGT into effect, Voluntary Partnership Agreements are being developed. Under the VPA, only legal timber and timber products will be permitted into the European Community. And indeed this is needed in Ghana. 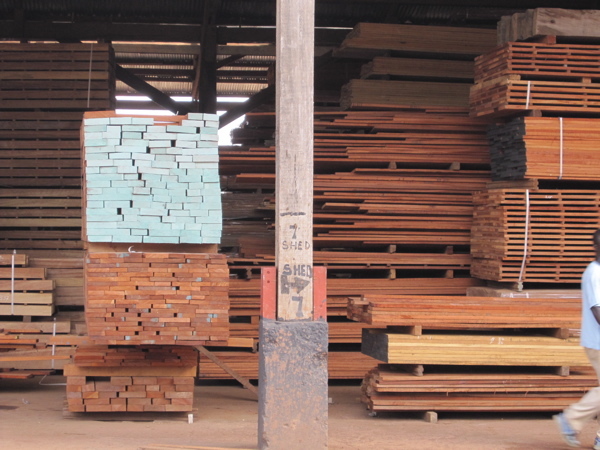 The Ghanaian people is heavily dependent on the wood produced in their country, since 60 % of the population is in some way related to the wood industry. 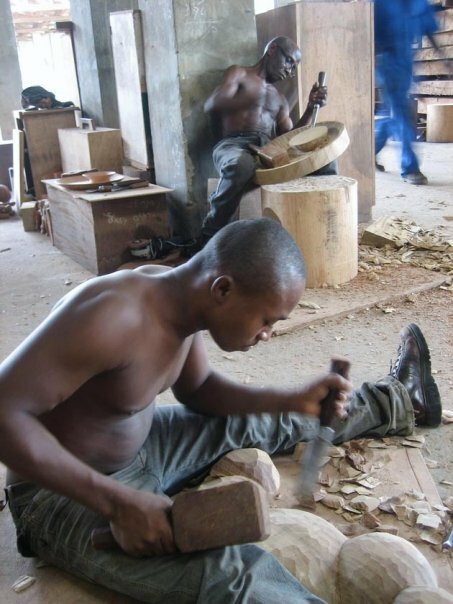 And it is not only for export, wood is used for cooking, furniture, buildings, tools and handicraft and providing shadow for coca plants and is hereby an integrated part of everyday life in Ghana. And IF wood is cut continually in the speed as today, then Ghana will be without a tree in teen years. Therefore it is compulsory that we, – all of us – take action on this issue NOW! 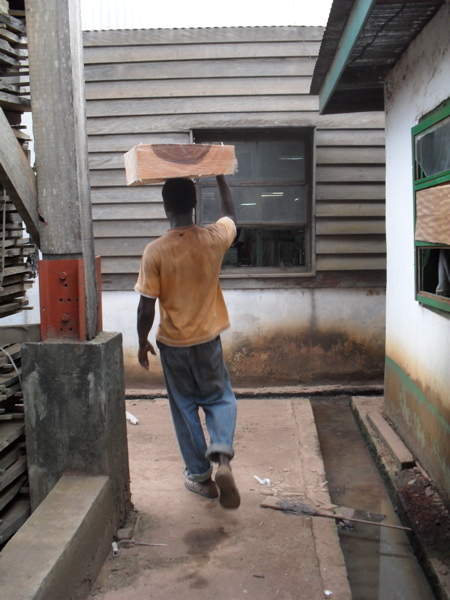 When this stood clear, FTD considered to stop working with the wood project in Ghana, but instead of we decided to continue to address this issue by choosing to work with Ghana’s first FSC certified wood company – and use every chance we have, to tell the story. In November ’09 Ghana, as the first country in the world, signed the FLEGT agreement with EU, and is now in a process to enforce the agreement, this being a step in the right direction. 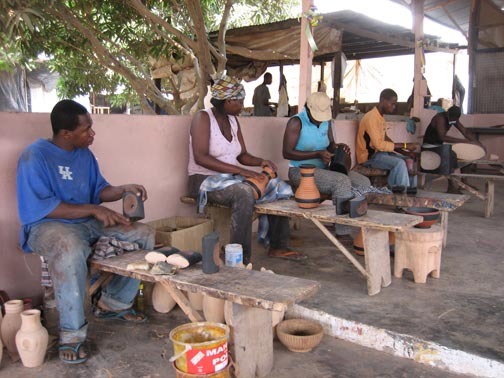 Next step in the project was a workshop arranged together with a local partner; ATAG, (Aid to Artisans Ghana), who found the participants, arranged facilities, food and provided the set-up. 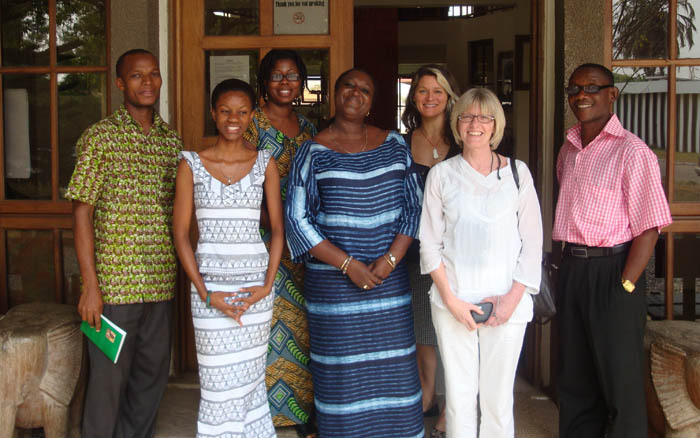 ATAG staff, Henriette and Margrete Stage from DIPP in front of the ATAG office in Accra. ATAG, DIPP and FTD all contributed to the workshop with different items in the program. FTD where in charge of giving the participants a visual insight to the Danish market, the consumer and the quality expected to success here. We introduced facts sheets, to maintain look, standards and quality, and talked of the importance of keeping agreements and be on time in order to keep costumers and have long term business running. We showed, how we as designers work with product development, to inspirer the participants to developing new product to keep up with the ‘news demand’ on the market. 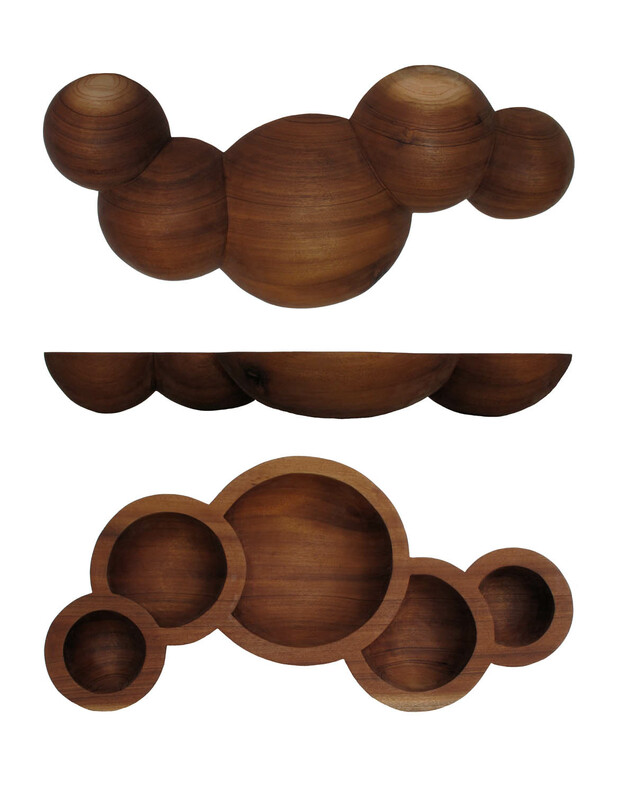 Liselotte talking about wood products on the Scandinavian marked. And finally we went through the products the participants brought to the workshop and talked about functionality and design. 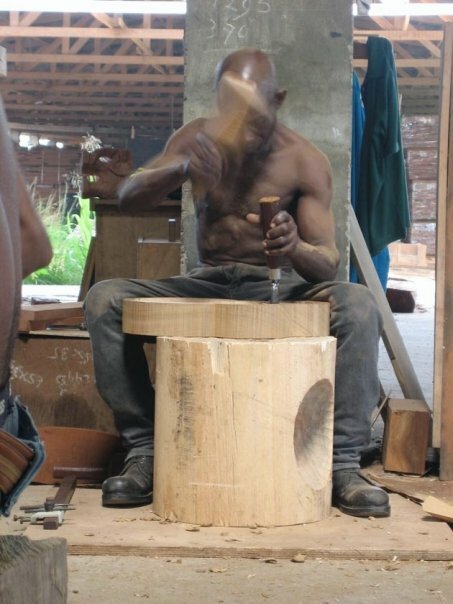 In the workshop we discussed the importance of legal wood as a selling point on our market, and doing this, we realised that the issue was not taken very seriously among the participants, presumably because on a practical level it was very difficult to control. The wood manufacturers would in some cases ‘find’ the wood in the forest or buy wood from licensed dealers, but would not have a way of controlling, if the wood actually where cut legal or illegal, since no institution was taking prober care of the issue. At the workshop 6 manufactories was chosen for FTD and DIPP to pay a visit to see their full product selection and work facilities. The level of skills and facilities varied. 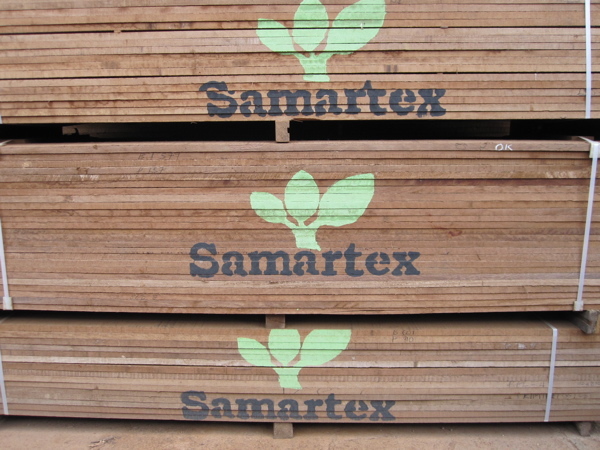 Among the visited companies only one; Samartex worked with sustainable wood, everybody else had a relaxed attitude towards the issue and it was difficult to decide, if their wood was bought legal or not. 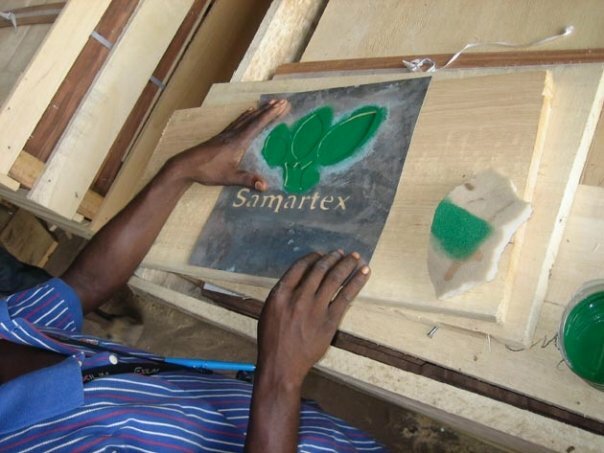 Therefor Samartex was selected as the company to continue working with, even though the main factory and plantation was located in a small village; Samreboi in the rain forest area in Western Region, a full day drive from the capital Accra. 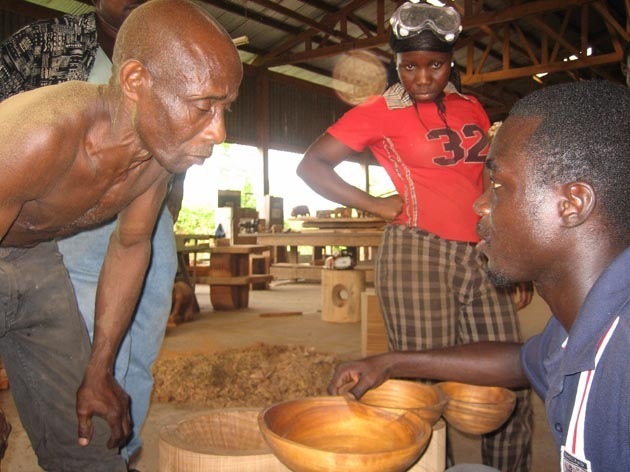 Samartex is Ghana’s first FSC certified wood manufactory and got their license in 1993. 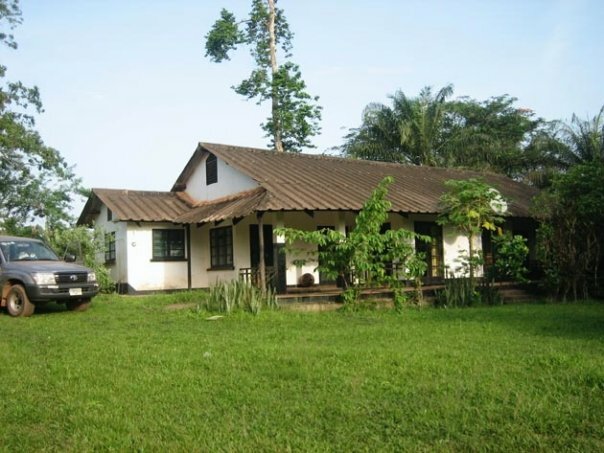 The factory is located in the gigantic rain forest areas in West Ghana with big plantation areas surrounding the factory and a village build up around it. 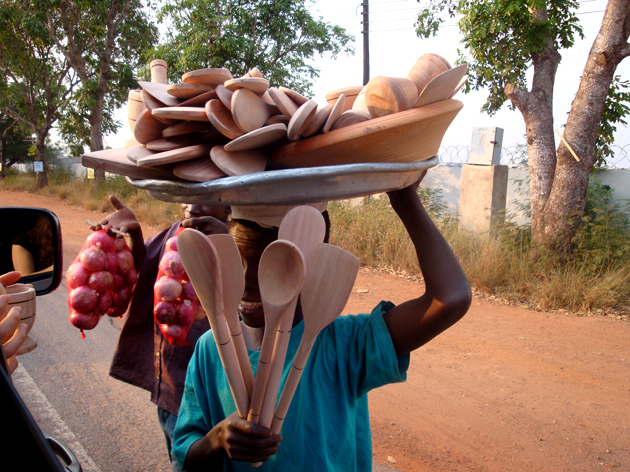 The village is housing the workers and shops and small business supporting their everyday life. The factory has invested in a water-cleaning system to providing their workers and the village with clean drinking water, a hospital and a power-mill running on waste wood from the production is supplying the factory and the village with electricity. 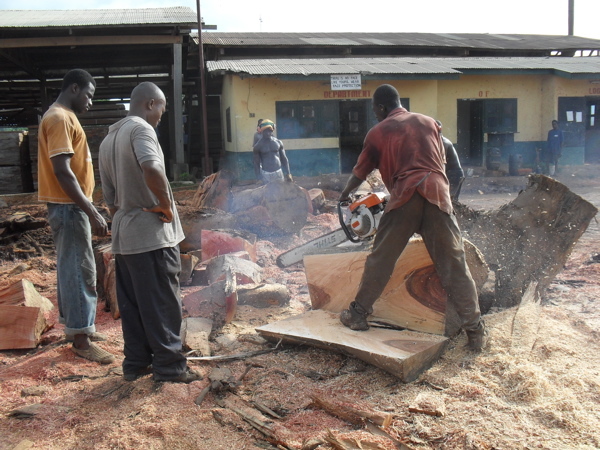 All wood residues is cut up and sent on to the power mill, that provides electricity for the factory and the village. 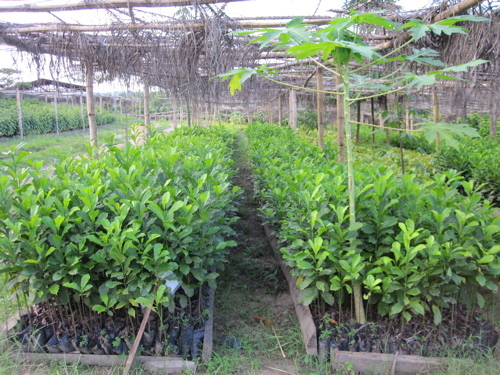 During the stay at the factory we went on a field-trip to the tree-nursery, where relevant spices are prepared for later planting, either by Samartex or the farmers living around the village and receive the trees for free. 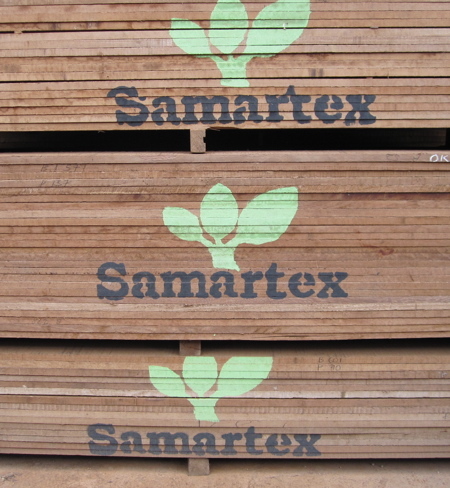 Samartex works with sustainable wood production on many levels, with carefully planed limited harvest in marked areas, replantation as well as a strong social profile for their workers including training, healthcare and fair wages. Back in Denmark after the workshop trip to Accra in January ‘ 09, FTD started sketching design proposals for products in wood. After a wide brainstorm several ideas was presented and discussed with DIPP. 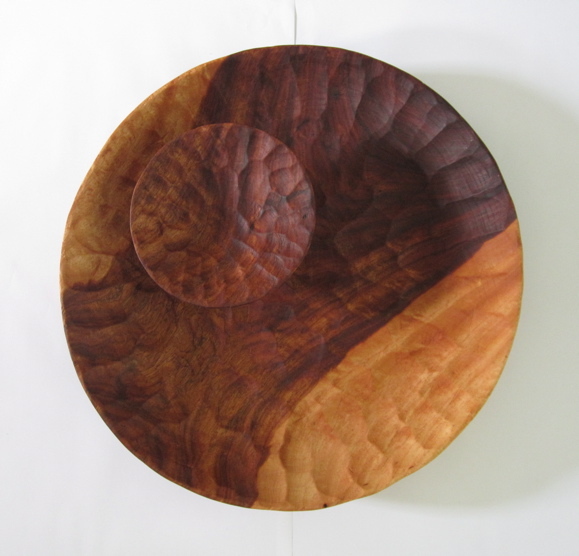 Three different bowl designs where worked out and one chosen as first priority. 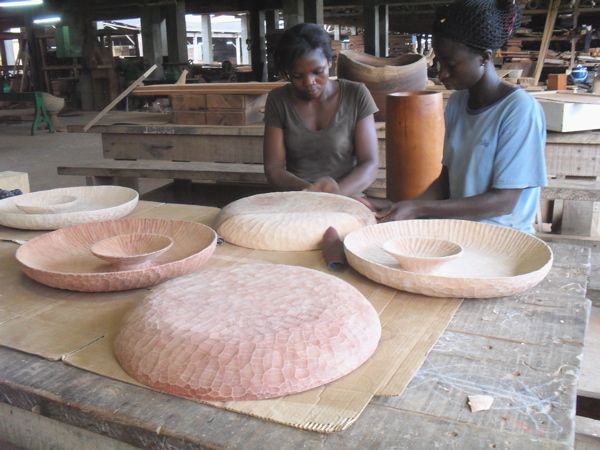 Production drawings of the ‘WORMbowl’ where sent by mail to the factory in Ghana and the company fast replied with photos of a product, they thought matched. It was clear that the carvers where skilled and capable of making our design, but from the designers point of view, the product we designed looked very different. This was only few days before flying off to Ghana again, therefor templates for the designs where made alone with productions drawings. In march ’09 FTD visit the factory for the first time. Lucky to be set up in a guest-house and provided with a chauffeur, the facilities where perfect. 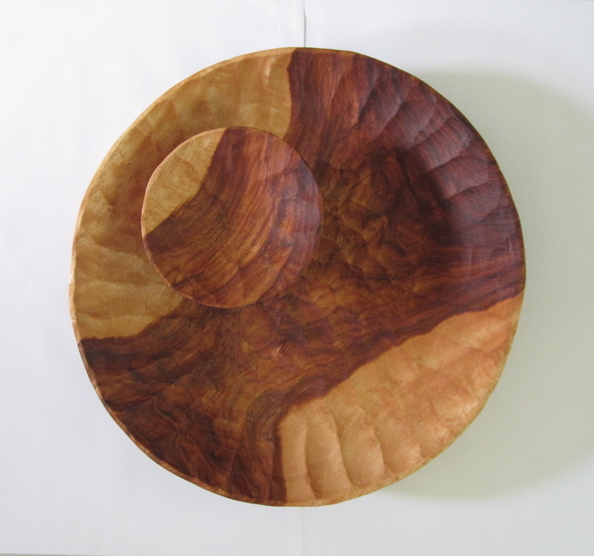 The goal was to develop and test the different bowl designs, and this work was done in co-operation with the carvers and the foreman at EcoCrafts, the carving department at Samartex. Different shapes and surfaces was tested, some more promising than other. 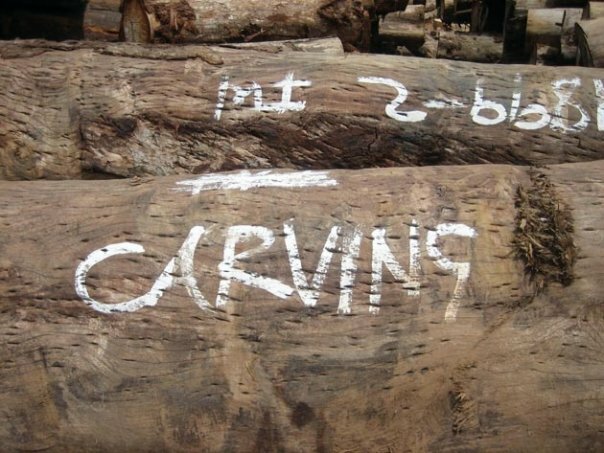 In the beginning it was very difficult for the carvers to achieve sharp edges, since the African tough is ‘more soft’. And even when the carvers succeeded, then the ‘sanding ladies’ would rapid transform any sharp edge to a smooth and soft corner. The carvers technique where tested, but in the end the results achieved. After 4 full days of work two big suitcases where filled with samples. 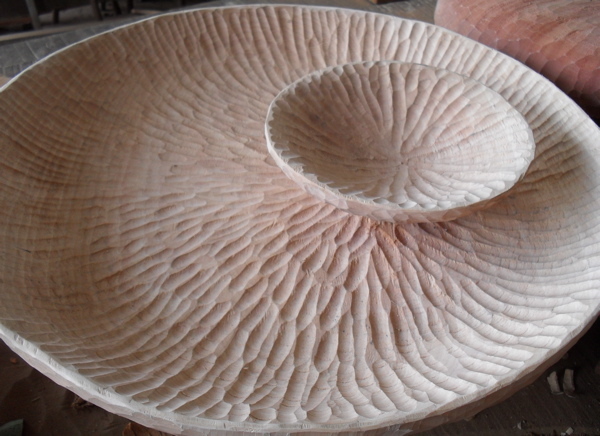 The collaboration with the carving department; EcoCraft had been intense, educational and the result very satisfactory. Now the designer was driven a long daydrive back to Accra, to fly home to Denmark. 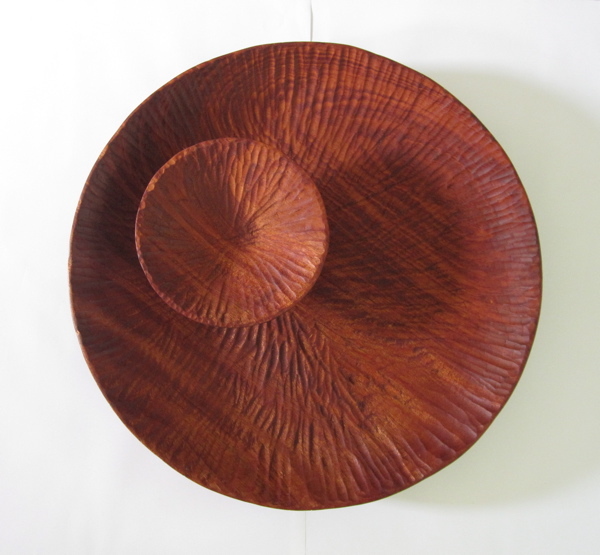 Back in Denmark FairTrade Designers applied for Danish Crafts Collection and one of the bowls, ‘Integrate’, also developed doing the first workshop at the factory, was chosen for the Danish Crafts Collection CC14. 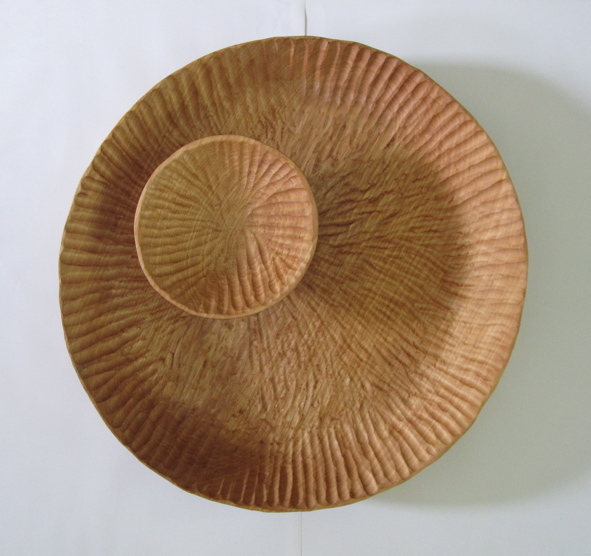 The ‘Integrate Limited Edition’ was made doing a new visit and ended up consisting of 5 wooden bowls, made from sustainable wood by carvers at EcoCrafts. 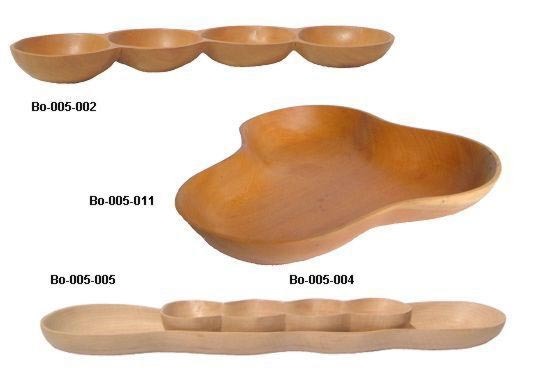 See below, how the Integrate bowl is made. 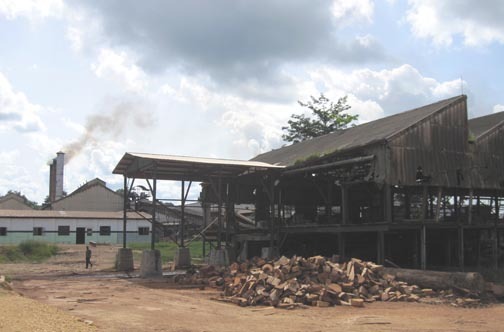 Big tree trunks are brought from the surrounding rainforest and plantations to the yard at Samartex. From here the trunks are cut up and sent on to the different production departments at the factory. 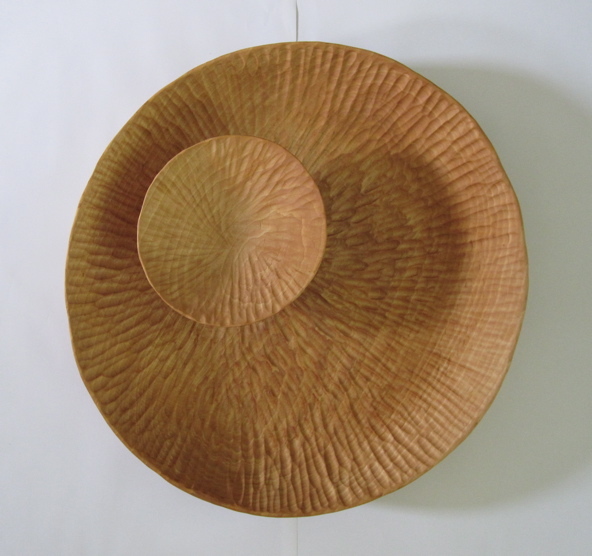 At EcoCraft, the department for carvers, here they predominantly use wood leftovers from the factorys main production of plywood and veneer, only 10 % of the wood used at EcoCrafts is allowed to be cut-up wood, the rest must be leftovers from the main production. Therefor it is not possible to predict what wood spices will be available at a certain time. The Integrate LE for CC14 is made of 3 different types of wood: Mahogany, Asanfena (light) and Entadua (the two colored). 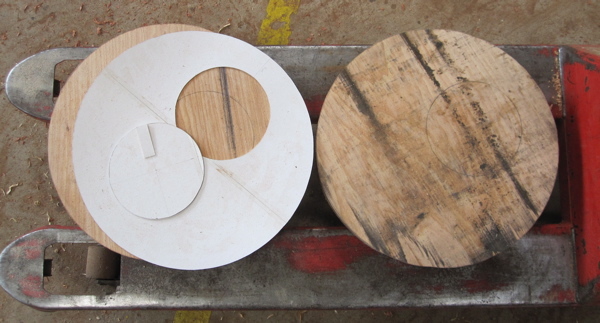 When the wood first arrives at the carving department it must be cut according to the product dimensions. In our case we prepared a template for the carver to save time. After this the carving starts. 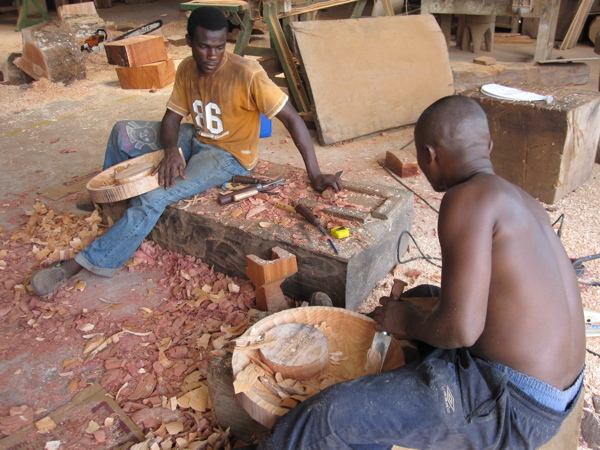 Two carvers work on each their piece, one is very experienced, the other is a junior carver. They work next to each other and discuss their technique, the process and next move. 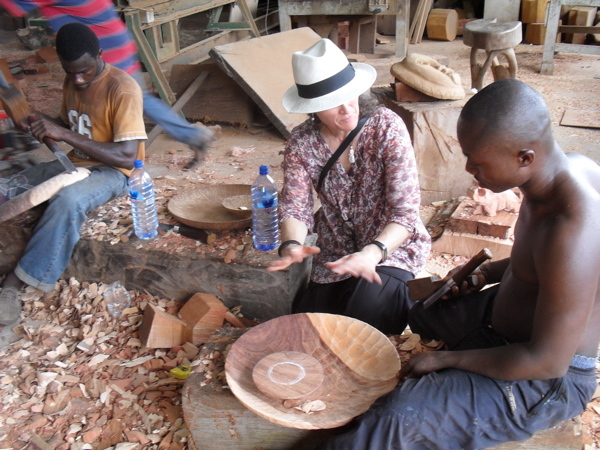 FairTrade Designers Henriette is on the set and takes part in this reflections and makes changes doing the process. At the office webcam and skype is used to show and discuss the progress with the two other FairTrade Designers; Pil and Liselotte, who are in Denmark. 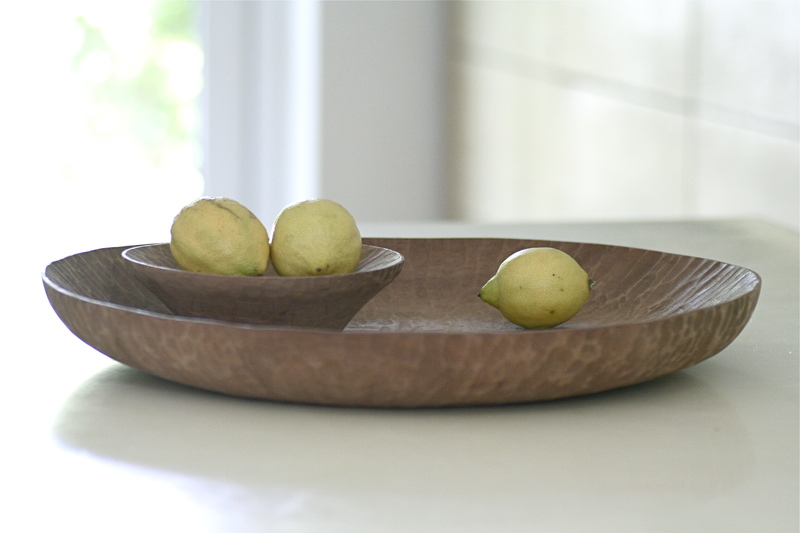 When the bowl is carved and all are satisfied with the shape, then the ‘sanding ladies’ take over and gives the bowls a superficial treatment, since we want a raw, handmade look for this collection. Global Trade is a non-commercial Fair Trade company, who works for sustainable development and poverty-reduction in Africa. They import and sell Fair Trade products and provides professional and technical support to African producers and collaborators. And home in Denmark they arrange concerts and travels to inform and raise funds to development projects. FairTrade Designers and Global Trade meet at the International Fair Trade Day in Copenhagen in May ’08, where we both participated in a debate. 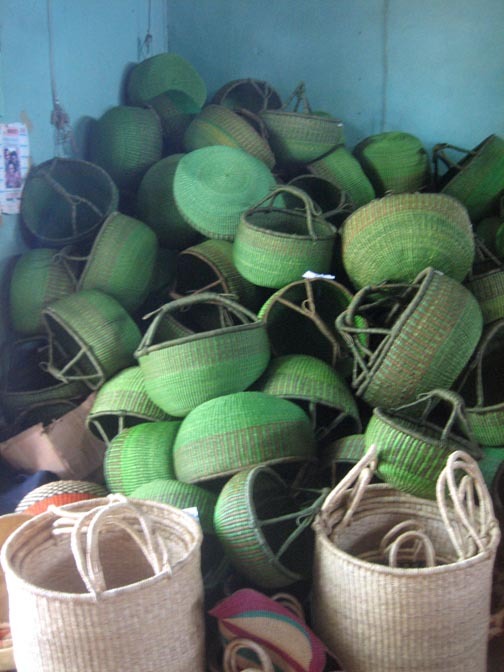 Global Trade was looking for design assistance to develop new Bolga basket design to maintain their sales of baskets on the Danish market, and had invited Master Weaver Peter and local basket dealer Francis to visit Denmark in July ’08. At this occasion we all meet in Raadvad and started looking at baskets, techniques and new possibilities. 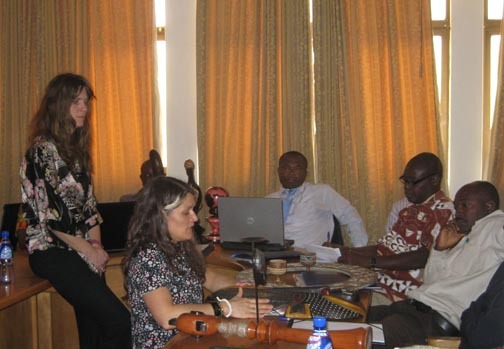 In Sept. ’08 Henriette, FTD and Ida, Global Trade went on a research and workshop trip to North Ghana. This was FTD first visit to Africa and research was focused on the basic work conditions, quality, production and artistic abilities. We visited basket storage, markets, basket dealers, widow co-operatives working with weaving and held a 2 days workshop at Master Weaver Peters home and workplace in the bush. Leaning and trying new ideas. Ida Ljunggren was an wonderful experienced travel companion on this trip and valuable lessons was earned and learned. 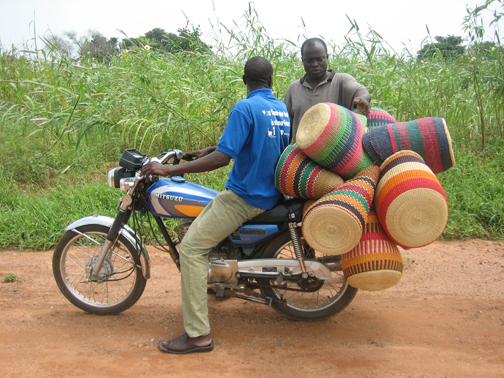 FTD is now part of Global Trades next-step application and hope very much to get a chance to continue working with Global Trade, Bolga Baskets or other Ghanaian Fair Trade handicraft. Do you mind if I quote a couple of your articles as long as I provide credit and sources back to your weblog? My website is in the exact same area of interest as yours and my users would really benefit from some of the information you provide here. Please let me know if this ok with you. Thanks a lot!